On the 21st of May 2017 at Elvington Airfield Gary Rothwell broke yet another world record reaching a staggering 218.697 MPH over 1 kilo. Gary Rothwell is simply a motorcycle legend in the UK. One of the originators of freestyle street-bike stunt riding, and a true Wheelie God, from Liverpool in the UK this guy has done it all. 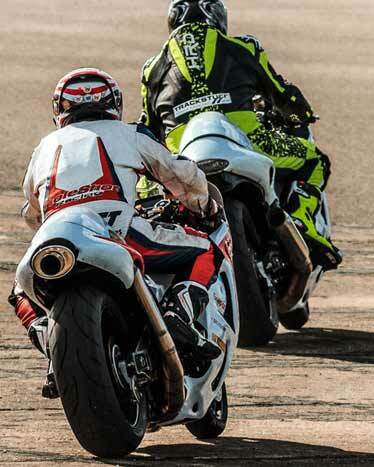 He was the first EVER man in the world to complete a kilo wheelie over 200mph and set the bar at a staggering world record of 209mph in 2015 aboard the Holeshot Racing prepared Turbo Hayabusa. 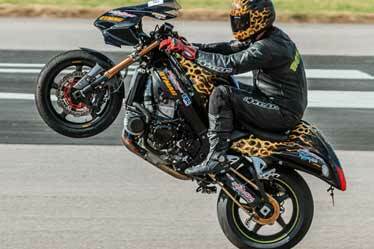 Cecil "Bubba" Myers, the world's fastest American on one wheel over a kilo, has been travelling from America to compete aboard Holeshot Racing machinery at the World Wheelie & Top Speed Records meetings since 2014. In 2016 he became the fastest American in the world, and 4th fastest on the planet setting a staggering speed of 197mph aboard the Holeshot Turbo Kawasaki ZX10R. Jason "Wheelie" King competes at World Wheelie events on his Holeshot prepared Suzuki GSXR1000 K4 Turbo. Still chasing the illusive 200mph kilo wheelie, he is a formidable competitor and is knocking on the door every year he competes. 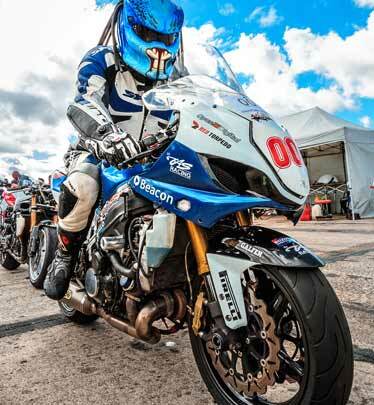 Adding a Turbo to his bike in 2015, Jason is on form and hoping to set a record in 2017. Jarrod "Jack" Frost has been tuning motorcycles for decades, more to the point for people who don't know, Jack has world land speed and wheelie records under his belt riding bikes prepared by himself. Jack Frost has been setting Drag Racing Land Speed Records for years, his knowledge and preparation of bikes have also helped other competitors set themselves apart and reach those numbers racers chase all their lives. Holeshot Racing have been preparing motorcycle engines for Street-bikes, Race-bikes, Bike Engine powered Buggies and competitive cars, Hill Climbers, Supermoto and Circuit machinery for decades. With a wealth of knowledge and expertise Holeshot prepared engines have helped drivers and riders win championships and set world records. 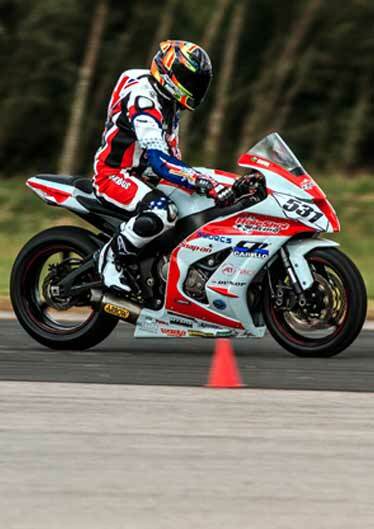 Holeshot Racing has over 3 decades of experience in Motorcycle Engine Tuning from mild modifications to full blown maxpower tuning, custom exhausts, wiring looms and ECU's. 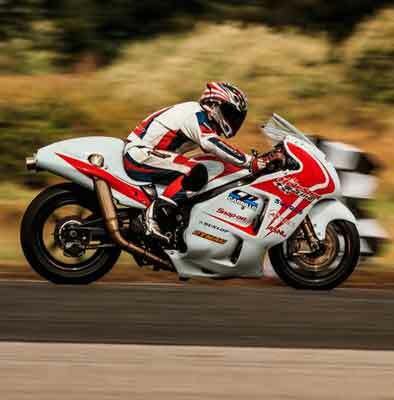 We have a wealth of experience boasting some highly regarded UK Land Speed Records aboard our 708bhp Turbo Suzuki GSXR1300R Hayabusa and many other Holeshot prepared bikes. 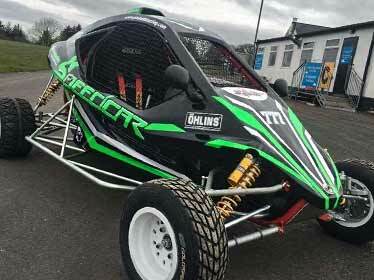 From Road Racing, Drag Racing, Hillclimb, Autograss, Motorcross to Wheelie bikes or custom road going machinery we offer services to suit anyone's requirements. Read more about Holeshot Racing. From mild Motorcycle Engine Tuning to full blown maxpower Motorcycle Race Engine Tuning. From ECU remapping to custom wiring looms and development of electronics to aid power gains and engine management. 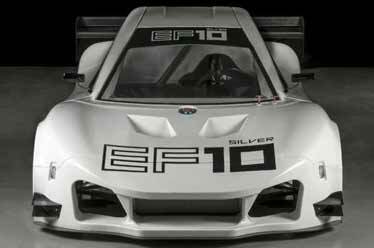 We manufacture and create custom bespoke exhausts and manifolds for all tuning applications such as Turbo fitment. If it has an engine we can pretty much tune anything. Please contact us for a full breakdown of costings as every engine is different. Aprilia engine tuning from Holeshot Racing. Suzuki engine tuning from Holeshot Racing. Honda engine tuning from Holeshot Racing. Kawasaki engine tuning from Holeshot Racing. Ducati engine tuning from Holeshot Racing. KTM engine tuning from Holeshot Racing. Triumph engine tuning from Holeshot Racing. Yamaha engine tuning from Holeshot Racing. We have been tuning engines for the past 3 decades with some impressive records in Road Racing, Drag Racing, Hillclimb, Autograss, Motorcross and much more. Holeshot Racing is an official Dynojet Powercommander Tuning Facility hosting a Dynojet load cell car and bike Dyno.